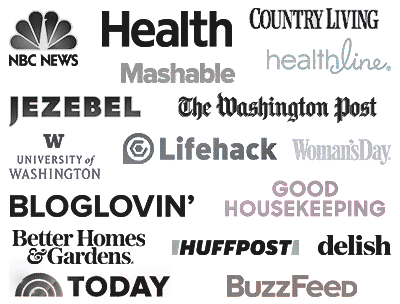 Cheesy Beef Tortellini Enchilada Casserole – a comforting casserole that only requires 4 ingredients and very little time. Make this for dinner tonight! I have such a simple recipe to share with you today. 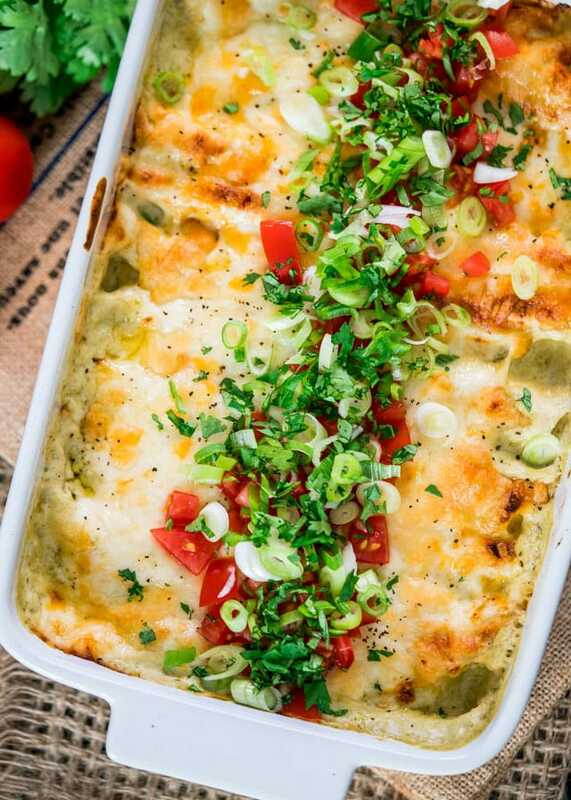 I’ve been looking for different ways to cook the tortellini we got from Costco, loads of it, and so I came up with this “not so” tortellini enchilada casserole. 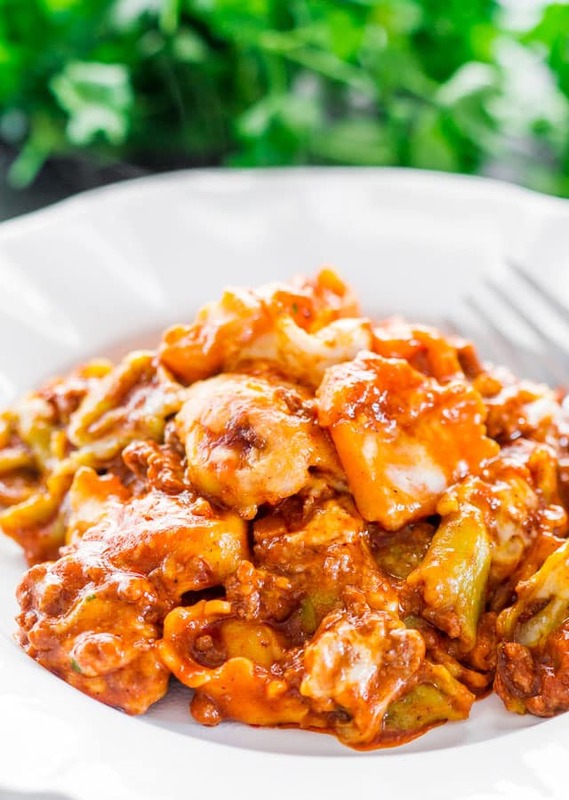 All you need are 4 ingredients, tortellini, ground beef, some cheese and enchilada sauce. 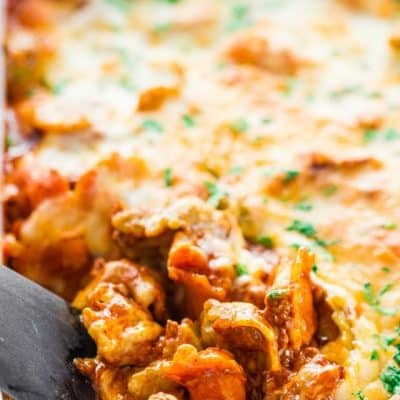 Now you could use different sauces here, like a good marinara, but personally I love enchilada sauce, so this casserole sort of tastes like an enchilada. I love tortellini, well I love any pasta really, and I’d like to start making my own pasta soon. Need to buy a pasta maker first, but they’re so darn expensive, at least the one I want, I’m trying to justify it to myself why I should get one. I’m also afraid if I buy one all I’ll make is pasta dishes, or the opposite could be true where I just buy it and never use it. Oh well, for now store bought pasta it is. I just remember when I was a kid and my mom used to make pasta, it was so much fun and there really is nothing better than fresh pasta. Of course she had the pasta maker that just rolls out your dough and cuts it, but the one I want makes your dough too, and you can make not only spaghetti or fettuccine with it, but penne and different shapes and sizes. I know, too much? Back to this yummy dish here. It’s simple right? All you need to do is cook the beef then toss it together with the tortellini and the enchilada sauce. I used store bought enchilada sauce but if you make your own enchilada sauce then by all means, use that. While this may not be a super figure friendly dish, it sure is comforting. Now that’s a nice plate of piping hot cheesy enchilada tortellini. Yum! 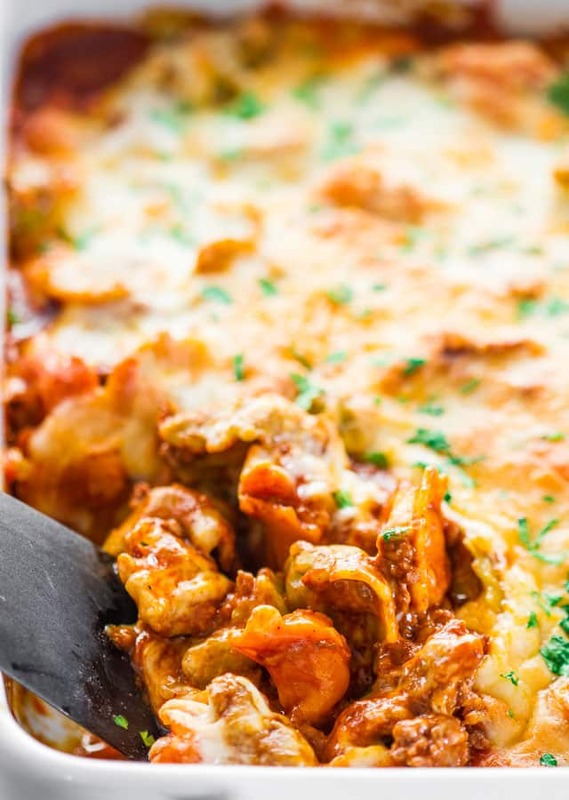 Cheesy Beef Tortellini Enchilada Casserole - a comforting casserole that only requires 4 ingredients and very little time. Make this for dinner tonight! Cook the tortellini according to package instructions. Usually they're done in about 10 to 12 minutes. Remove tortellini from boiling water and set aside. Cook the ground beef in a skillet until it's no longer pink. If there's any fat, make sure you drain the fat. 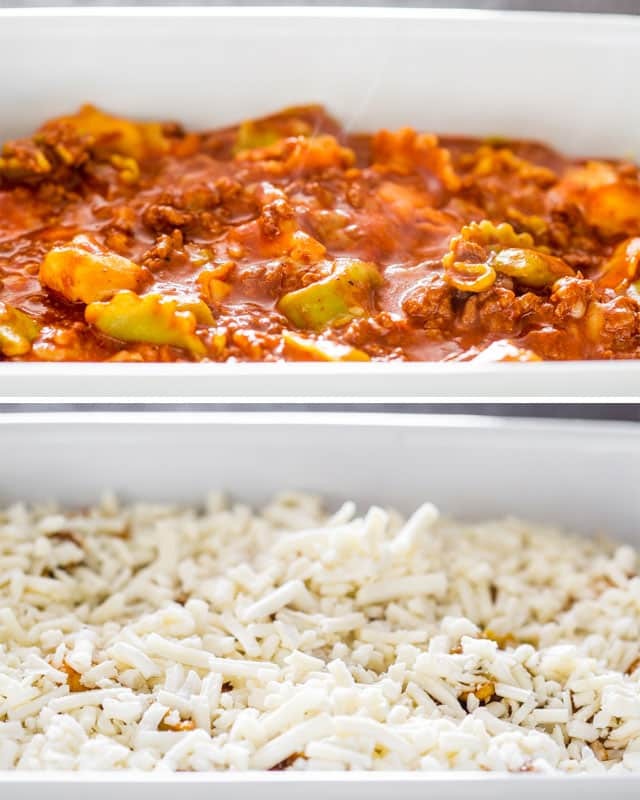 Add the tortellini to a oven safe casserole dish, a 9x13 inch should be a good size, add beef, enchilada sauce, 1 cup of the mozzarella cheese and toss. Sprinkle the remaining mozzarella cheese over the top and bake for about 20 to 30 minutes or until cheese has melted and is bubbly. Garnish with parsley if preferred and serve warm. 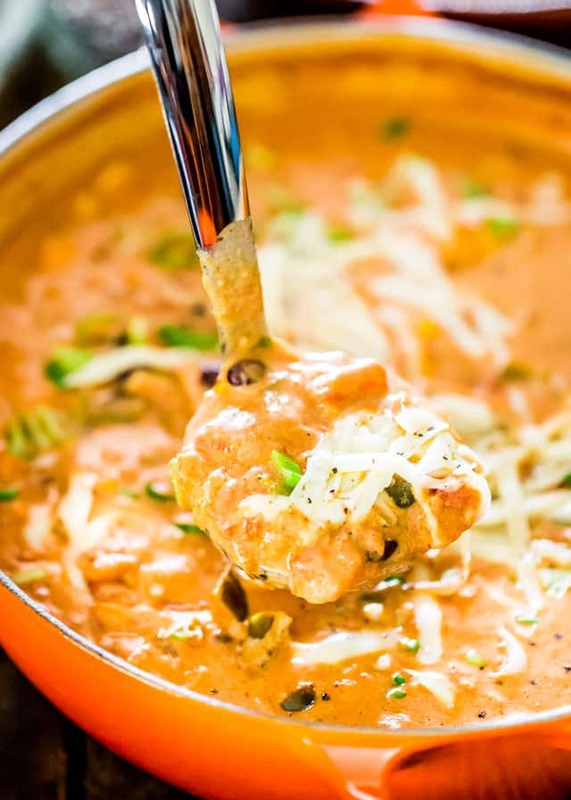 How about this Cheesy Chicken Enchilada Soup? Hi, Jo!! This is just the type of recipe my readers would love. I made a tortellini dish and I linked also to this recipe. I hope you don’t mind. If you do, I’ll remove it from my post. Don’t mind at all, thank you! This is awesome. Super easy, made it tonight. I used hot enchilada sauce but mild would be good too! Great for a weeknight. Wow, another great recipe and so easy. I just now found the recipe. I don’t know why i didn’t see it before now but i’m glad i found it now though. 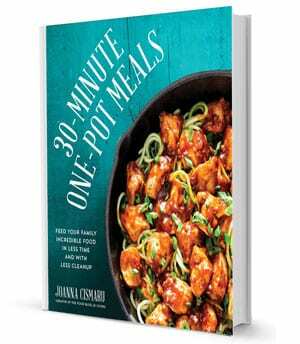 I’m going to make this next weekend when our son comes for dinner. Thanks for posting it. Can you make this into a freezer meal? Tortellini is my favorite pasta and I LOVE when people find creative ways to use it. Stroke of genius to use the enchilada sauce! Crazy that this is only 4 ingredients.. so simple & so delicious – I love it Jo! Oh gosh this looks amazing!! I wish I could find vegan tortellini, because I would make this in a heartbeat!